Confounding is widely recognized in settings where all variables are fully observed, yet recognition of and statistical methods to address confounding in the context of latent class regression are slowly emerging. In this study we focus on confounding when regressing a distal outcome on latent class; extending standard confounding methods is not straightforward when the treatment of interest is a latent variable. We describe a recent 1-step method, as well as two 3-step methods (modal and pseudoclass assignment) that incorporate propensity score weighting. Using simulated data, we compare the performance of these three adjusted methods to an unadjusted 1-step and unadjusted 3-step method. We also present an applied example regarding adolescent substance use treatment that examines the effect of treatment service class on subsequent substance use problems. Our simulations indicated that the adjusted 1-step method and both adjusted 3-step methods significantly reduced bias arising from confounding relative to the unadjusted 1-step and 3-step approaches. However, the adjusted 1-step method performed better than the adjusted 3-step methods with regard to bias and 95 % CI coverage, particularly when class separation was poor. Our applied example also highlighted the importance of addressing confounding—both unadjusted methods indicated significant differences across treatment classes with respect to the outcome, yet these class differences were not significant when using any of the three adjusted methods. Potential confounding should be carefully considered when conducting latent class regression with a distal outcome; failure to do so may results in significantly biased effect estimates or incorrect inferences. 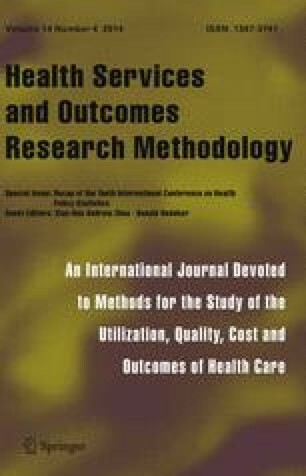 This manuscript is being submitted for consideration in the special issue of Health Services and Outcomes Research Methodology devoted to the 2013 ICHPS conference. The authors particularly thank Beth Ann Griffin for providing access to the data for the applied example (funded by award 1R01DA015697 from the National Institute of Drug Abuse (PI: McCaffrey) and Substance Abuse and Mental Health Services Administration (SAMHSA) contract #270-07-0191). Development of this article was funded by the Sommer Scholar program at Johns Hopkins, as well as awards P50DA010075 and T32DA017629 from the National Institute on Drug Abuse. Dr. Stuart’s time was partially supported by award 1R01MH099010 from the National Institute of Mental Health. The content is solely the responsibility of the authors and does not necessarily represent the official views of NIDA, NIMH, SAMHSA, or NIH. The authors also thank the following Grantees and their participants for agreeing to share their data to support this secondary analysis: Assertive Adolescent Family Treatment (Study: AAFT; CSAT/SAMHSA contract #270-2003-00006 and #270-2007-00004C and Grantees: TI-17589, TI-17604, TI-17638, TI-17673, TI-17719, TI-17724, TI-17728, TI-17744, TI-17765, TI-17775, TI-17779, TI-17830, TI-17761, TI-17763, TI-17769, TI-17786, TI-17788, TI-17812, TI-17817, TI-17825, TI-17864), Adolescent Residential Treatment (Study: ART; CSAT/SAMHSA contracts #277-00-6500, #270-2003-00006 and Grantees: TI-14271, TI-14272, TI-14315, TI-14090, TI-14188, TI-14189, TI-14196, TI-14252, TI-14261, TI-14267, TI-14283, TI-14311, TI-14376), Adolescent Treatment Model (Study: ATM; CSAT/SAMHSA contracts #270-98-7047, #270-97-7011, #277-00-6500, #270-2003-00006 and Grantees: TI-11424, TI-11432, TI-11892, TI-11894), Cannabis Youth Treatment (Study: CYT; CSAT/SAMHSA contracts #270-97-7011, #270-00-6500, #270-2003-00006 and Grantees: TI-11317, TI-11321, TI-11323, TI-11324), Drug Court (Study: DC; CSAT/SAMHSA contract #270-2003-00006 and #270-2007-00004C and Grantees: TI-17433, TI-17475, TI-17484, TI-17517, TI-17434, TI-17446, TI-17486, TI-17523, TI-17535), Effective Adolescent Treatment (Study: EAT; CSAT/SAMHSA contract #270-2003-00006 and Grantees: TI-15413, TI-15415, TI-15421, TI-15433, TI-15438, TI-15446, TI-15447, TI-15458, TI-15461, TI-15466, TI-15467, TI-15469, TI-15475, TI-15478, TI-15479, TI-15481, TI-15483, TI-15485, TI-15486, TI-15489, TI-15511, TI-15514, TI-15524, TI-15527, TI-15545, TI-15562, TI-15577, TI-15584, TI-15586, TI-15670, TI-15671, TI-15672, TI-15674, TI-15677, TI-15678, TI-15682, TI-15686), Strengthening Communities for Youth (study: SCY; CSAT/SAMHSA contracts #277-00-6500, #270-2003-00006 and Grantees: TI-13305, TI-13313, TI-13322, TI-13323, TI-13344, TI-13345, TI-13354, TI-13356), Targeted Capacity Expansion (Study: TCE and Grantees: TI-13190, TI-13601, TI-16386, TI-16400, TI-18406, TI-18723), and Young Offenders Reentry Program (Study: YORP; CSAT/SAMHSA contract #270-2003-00006 and #270-2007-00004C and Grantees: TI-16904, TI-16928, TI-16939, TI-16961, TI-16984, TI-16992, TI-17046, TI-17070, TI-17071, TI-19313).